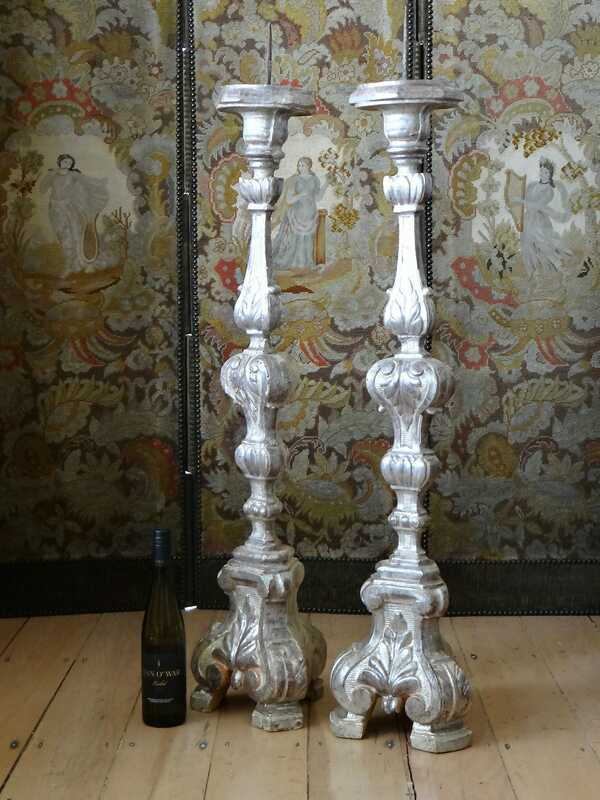 A pair of tall 19th century Italian silver gilt pricket candlesticks. 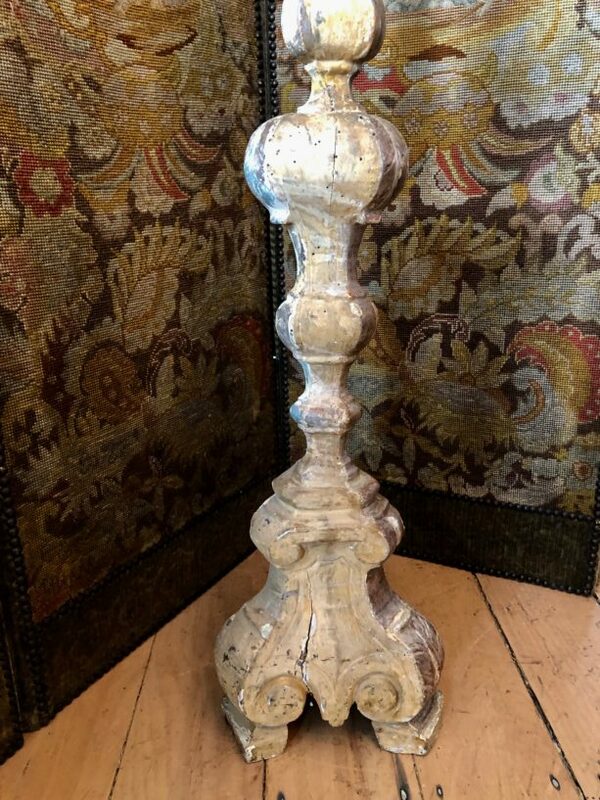 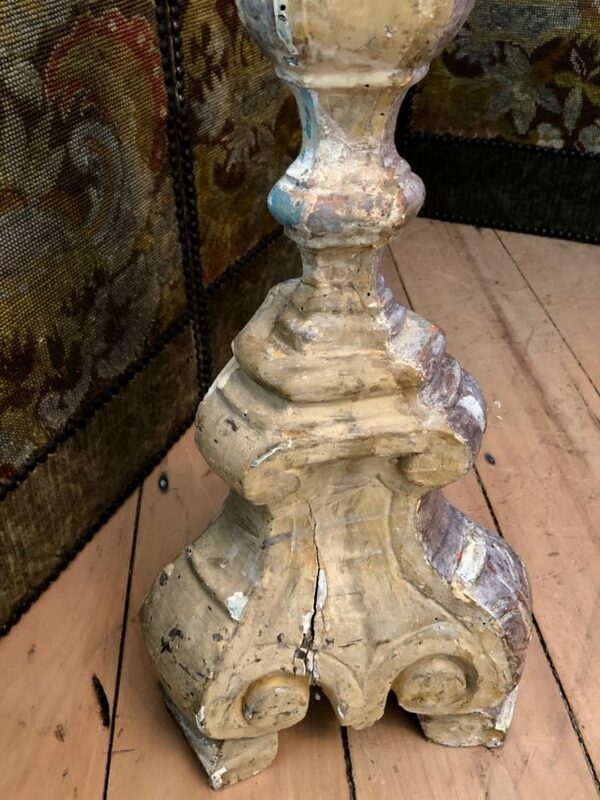 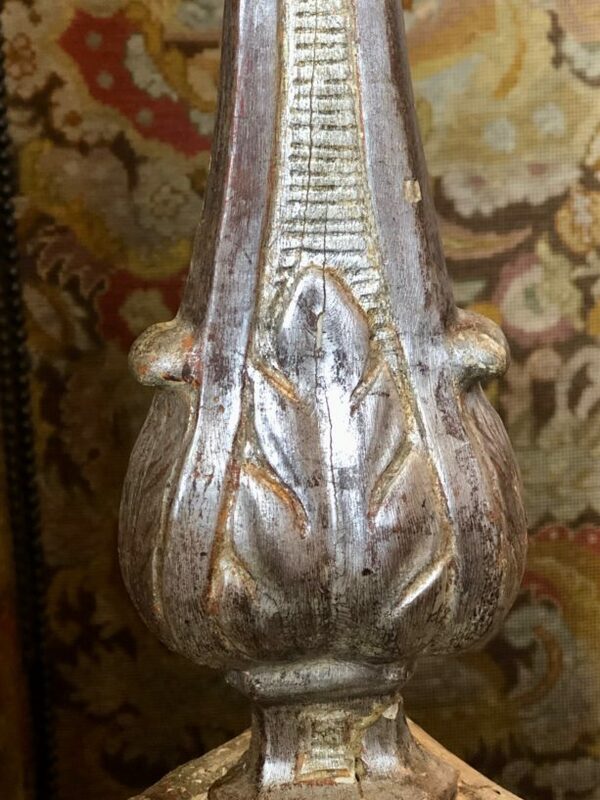 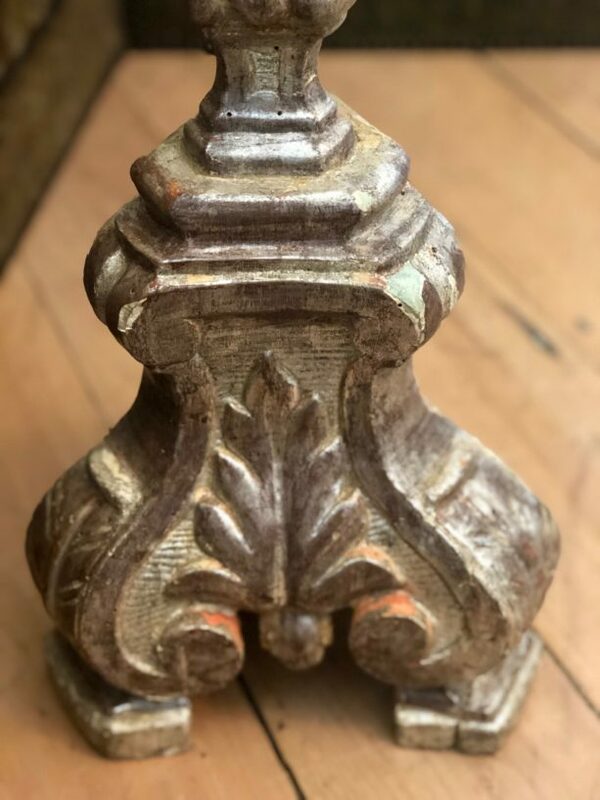 Hand carved, circa 1850, the candlesticks have a sturdy base carved with acanthus leaves, sitting on three feet and a long carved decorative stem. 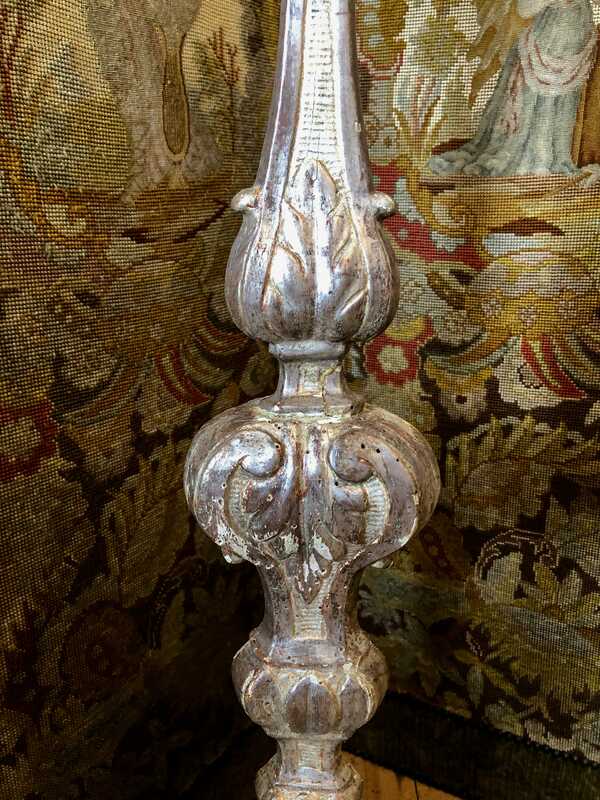 As was so often the case for these altar candlesticks the front was gilded for the sake of the congregation but it was left ungilded on the side facing the priest. 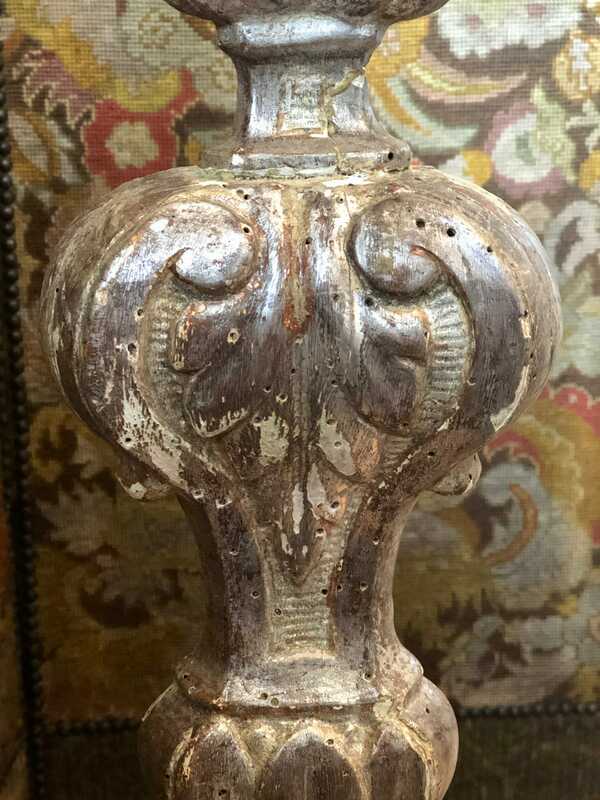 These taller candlesticks are a rare find.